Wolf Commercial Real Estate, a leading Southern New Jersey commercial real estate broker with expertise in South Jersey commercial real estate listings and services, is now offering prime South Jersey retail space for lease in The Avery Plaza Willingboro NJ. 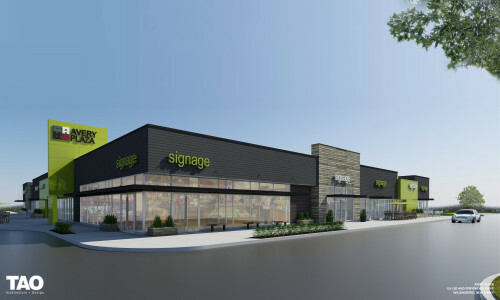 This new state-of-the-art contemporary Southern New Jersey retail space for lease is currently in the planning stages and will be located adjacent to The Avery Apartments, a vibrant community of 450 residential units developed by Robert Weiss, President of Weiss Properties. Willingboro, where this retail space in South Jersey is located, is in the midst of a community and economic renaissance. Since the late 1990s, Willingboro has successfully encouraged development and established relationships with businesses as it creates the newest, most promising chapter in its rich and complex history. The Avery Plaza at Route 130 and Pennypacker Drive Willingboro NJ presents a phenomenal opportunity for national and private retailers, restaurateurs and other establishments to get in on the ground floor of this brand new, highly touted Willingboro retail space for lease. This retail space in Willingboro is being offered through Wolf Commercial Real Estate, a Southern New Jersey commercial real estate brokerage firm specializing in South Jersey commercial real estate listings and services. Weiss Properties currently is seeking tenants interested in securing retail space in South Jersey at The Avery Plaza for the following uses: gas, convenience, fine and/or casual dining, fast food, beauty/hair/nail salon, general merchandise, food market, daycare, and many others. This Southern New Jersey retail space for lease will feature more than 43,000 square feet of retail space in Willingboro in six different buildings. A total of 23,658 square feet of retail space in South Jersey with units divisible to 1,200 square feet is being offered in two buildings at The Avery Plaza Willingboro NJ. A third South Jersey retail building for lease at Route 130 and Pennypacker Drive Willingboro NJ features a 4,500-square-foot restaurant pad facing Route 130. Two additional forward-facing pads will each provide 2,542 square feet of South Jersey retail space for lease. This Willingboro retail space for lease also will include a South Jersey retail building for lease with of 9,800 square feet of retail space in South Jersey earmarked for daycare and office use. There is a liquor license available for this Southern New Jersey retail space for lease in The Avery Plaza Willingboro NJ. This Willingboro retail space for lease will provide 357 parking spaces. This retail space in Willingboro is available for lease through Wolf Commercial Real Estate, a Southern New Jersey commercial real estate broker that specializes in South Jersey commercial real estate listings and services. A daily average of more than 43,000 vehicles travel by this South Jersey retail space for lease in The Avery Plaza at Route 130 and Pennypacker Drive Willingboro NJ. Nearly 138,000 residents live within five miles of this retail space in South Jersey. There are nearly 53,000 households in the same five-mile radius around this Southern New Jersey retail space for lease, and the average household income in the same area is $70,061. For more information about this South Jersey retail space for lease in The Avery Plaza at Route 130 and Pennypacker Drive Willingboro NJ or about any other South Jersey retail building for lease or South Jersey commercial properties for sale or lease, please contact Jason Wolf (856-857-6301; jason.wolf@wolfcre.com) at Wolf Commercial Real Estate, a Southern New Jersey commercial real estate brokerage firm.